After you’ve gone through all the steps to research, source, and list your product, now it’s time to launch it and start driving sales. What is your launch strategy? How can you put your brand in the best position to succeed once you’ve gone live? On this episode of The Amazing Seller, you’ll hear from Scott and Chris as they go over this final part of a successful launch strategy. The guys touch on how to discount your product accurately, getting your product to rank, how many reviews you need, the difference between feedback and reviews, and so much more! If you are ready to take your brand to the next level, make sure to listen to this informative episode! As you launch your product, you want to make sure you do everything you can to put it in a position to succeed. One of the best ways to accomplish this goal is to drive sales to your listing right out of the gate. On this episode of The Amazing Seller, Scott and Chris share how sellers like you can drive sales by offering a limited time discount on your product. The guys have adapted their approach over time but the goal remains the same, discount your product in a way that brings value to your customers and drives sales. You shouldn’t be focused on making a profit at this point, a good rule of thumb is to try to at least break even. To hear the guys explain this process even further, make sure to listen to this episode! How many reviews do you need to get started? For a long time, the common wisdom for ecommerce sellers launching their product was to make sure that you have a ton of reviews for your product as soon as possible. Because of this common wisdom, review groups and all other ways of eliciting reviews became prevalent. Is this still the case? 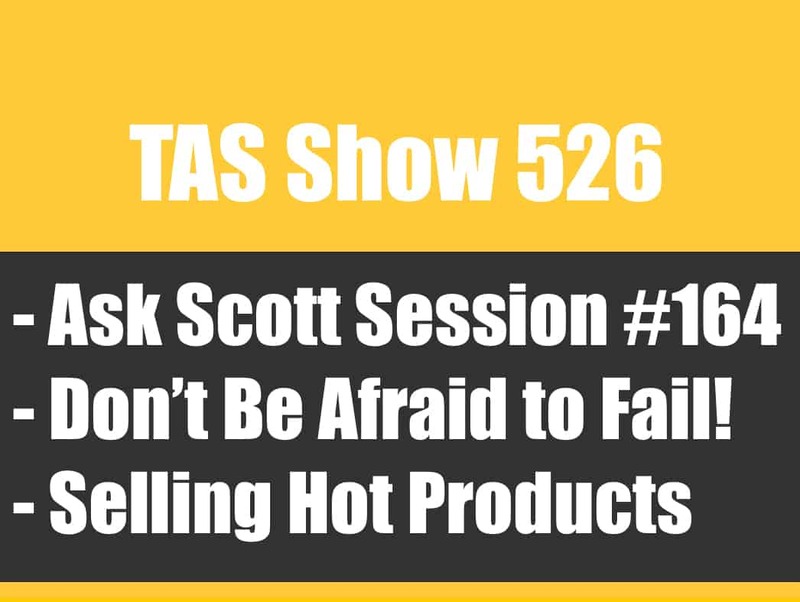 On this episode of The Amazing Seller, you’ll hear from Scott and Chris as they open up about reviews and why they don’t put a ton of stock into this line of thinking. Rather, the guys suggest that sellers like you focus on driving sales, then organic reviews will follow! There are also steps you can take to encourage your buyers to leave reviews without violating Amazon’s terms of service. Make sure to listen to this episode to hear more about this subject! As you product listing gets off the ground, you want to help it along by using either PPC or sponsored ads. What is the best way to use these helpful tools for ecommerce sellers? On this episode of The Amazing Seller, Scott and Chris provide a quick start guide that will give you what you need to jump in with these tools. Find the top 10-20 keywords. Create a manual campaign with a daily ad budget of $25 a day or less. Let your campaign run for 7-14 days. Then download the search term report. Use the data from the search term report to find what keywords your buyers are using. Spend more on winners and cut the losers. To hear the guys break down the quickstart guide in detail, listen to this episode to hear more! You don’t want to miss it! Focus on where you are! As an emerging business leader, it can be easy to get overwhelmed quickly. It’s understandable that you want to make sure that all the pieces are in place so all of your hard work pays off. But make sure you pace yourself! The last thing you need to get bogged down by the pressure to hurry up and move on to the next phase before you are ready. On this episode of The Amazing Seller, Chris provides some helpful insight that could make a huge difference to sellers like you. His advice is simple yet important, focus on where you are. Chris and Scott have lots of helpful advice to pass on, listen to this episode to hear more! [6:00] Scott recaps the 10x10x1 strategy. [8:00] Chris talks about discounting your product to drive sales. [10:00] What does it take to get you listing to rank? [14:30] Do you need to get a lot of reviews for your product to succeed? [24:00] The difference between feedback and reviews. [28:00] How do you get reviews from you customers? 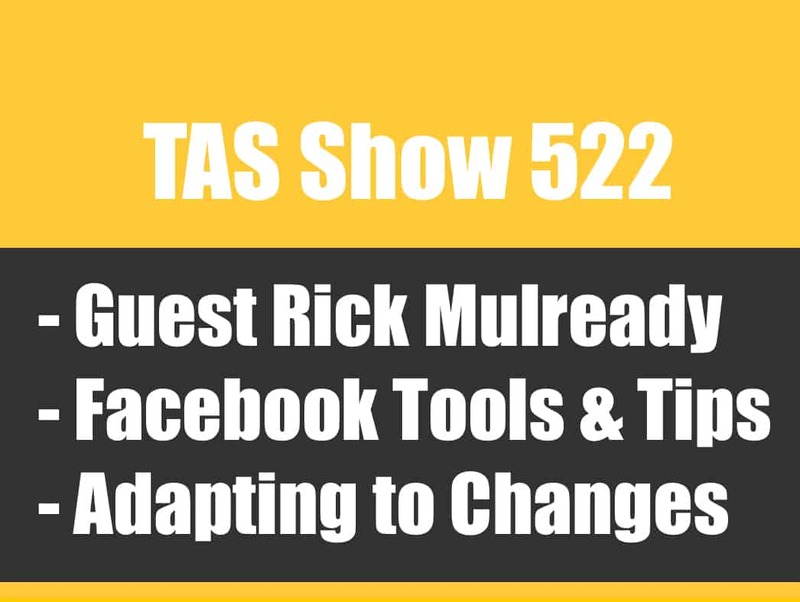 [32:00] Using PPC to drive sales. [40:00] Quickstart Strategy for Amazon PPC or Sponsored Ads. [46:30] Make sure to pay attention to the search terms report! [54:00] Closing thoughts from Chris; focus on where you are. …kind of when everything happens and that is the launch and the promotions to hit sales and to hopefully rank and that’s what we’re going to be talking about today. So, I’m super excited to kind of dive into this. I always get excited at the launch phase and start talking about like really like let’s see this thing come to life like let’s start seeing these sales, let’s start seeing how much we have to do as far as work to get ourselves ranked and see how much this all pays off. [00:00:50] Scott: So, Chris Shaffer is with me again. Are you ready, brother? [00:00:53] Chris: I am pumped up and it’s funny. This phase 5 gets me really pumped up because the launch and promotion is like the scorecard of this entire thing. It’s where we get to see all the hard work pay off. It’s the Super Bowl of the phases. We get to have a little bit of fun. And you and I before we were getting on here actually we’re talking about, we have a product that just landed so we are in this phase right now and we’re actually going to be doing this for one of our products in the new brand that you guys have heard us talking about in the next three or four days as of recording this. So, this should be a lot of fun for us. [00:01:28] Scott: Yeah. And what I’m going to do here, guys, I’m going to – actually, we had a workshop in North Carolina, a live workshop where we talked about like launching and building a list and all that stuff which we just talked about in the prelaunch phase. If you guys missed the pre-launch phase, I’m going to include all the links to the series because this is a five-part series that we put together here. We really are giving you the overview in part one but then from there, we’re going through all five phases. In this one here we’re kind of covering two of the phases, the launch and the promotions, because they kind of work hand-in-hand. But if you have missed that, the reason why I’m doing this is because I wanted everything to be kind of like in a row like I wanted everything to be in a series and that’s why we decided to do this. I also wanted to do it because people say, “Well, Scott, you recorded podcast episodes a year-and-a-half ago, two years ago. Are they still relevant?” And for the most part, yes, but I wanted to do is kind of give you the play-by-play as far as what we have done in our new brand. In the new brand, by the way, the time of recording this we’re about six-and-a-half, almost seven months in. We already hit over 160,000 in revenue. We’re at about a 35% to a 40% margin depending on the product. So, we’re on a really, really good road here and it’s only going to get better as we build this thing out. And the things that we’re going to be talking about here in the launch and the promotions phase here today is exactly what we did to launch and rank our products. So, I just want you guys to know that I will be sharing some of those launches as far as the numbers and like how we did it, but I want to kind of take you to the framework as far as what we need to do now that we’ve already went through all of the other phases. We’ve picked a product, we sourced the product, and now we’ve done the prelaunch where we’ve optimized our listing. We’ve got that already dialed in and then we’ve set ourselves up to create either a list or reach out to other people that have a list, so we can launch our product and get sales. Because the name of the game here, guys, is getting sales, day one. [00:03:27] Scott: We need to figure out how do we get sales. That’s what we should be doing in the pre-launch. So, if you guys missed that, definitely, definitely go back and listen to that because that will kind of fill in all the gaps if you were listening to this and you’re like, “I don’t really understand what they’re talking about, about this listing and whatever.” So, definitely make sure that you do that. I’m going to, again, include all the show notes and all the transcripts inside of this episode for the past episodes in this series. So, TheAmazingSeller.com/444. The other thing I wanted to do here is remind you that if you are a visual learner and if you wanted to go through this in about 90 minutes, Chris and I actually do a workshop where we do go through all five phases and we give you examples, we break things down, and we give you action steps. Pretty much what we did here in this audio version of this workshop is really through this podcast, but we give more detail and we also are able to give screenshots and that type of stuff during the workshop. If you’re interested, head over to TheAmazingSeller.com/workshop. Register for an upcoming workshop. Again, it is free and we’re going to be doing exactly what we’re doing here but more visual. All right. So, definitely go check that out. So, I’m excited, Chris. I’m almost out of wind and almost out of air here because I’m so excited because I can’t wait to jump into this. This is exciting. Again, I always talk about this as far as game-ifying business. Like this is it like this is the scorecard. Like you said, Chris, this is like how did we do? And then what is our next move? Because even though we think we got everything dialed in, we think we’ve done everything right, we still can tweak, we can still figure other things out, but we won’t be able to ask these questions until we launched. I think we talk a lot about that, Chris, you and I personally, that questions a lot of times are what help you grow. And the only way you’re going to get questions is until you actually take action and put something in play. But right now, the whistle blow. It’s time to start the game. And right now, it is launch day and we’re going to be talking about how to continue to get those sales. [00:05:27] Scott: So, let’s get rocking and rolling. So, the first part of this and this is like our launch phase strategy. So, this is what we have done, and this is what we recommend that anyone does that has followed through the five phases that we talk about. And again, we talk about the 10 x 10 x 1. Now if you guys don’t know what that is, you haven’t been following along and you should. You got to go back and listen but I’ll kind of give you the cliffsnotes version. Basically, what we’re talking about is selling 10 units per day, finding products that are selling 10 units a day and then finding our own products that can sell 10 units a day at $10 profit for one product. That’s $100 profit per day. That’s our goal here in launching this product. So, what we need to do and especially if we’ve done our homework properly and our research properly, we know that our products, our competition that is selling similar products are selling about 10 units a day because that’s what we’ve kind of looked at those sellers as validation. So, what do we need to do? Chris, what do we need to do to be able to rank on page 1 or potentially rank on page 1? [00:06:39] Chris: We need to get sales. [00:06:40] Scott: Yeah. So, how are we going to get some sales? Well, wait a minute. Timeout. I’m going to do a timeout in the middle of the game here. Timeout. We also just need to remember and if you guys are just tuning in on this episode, that’s why you got to go back and listen, we did a lot of the prep work in the pre-launch and the number one thing that I want to kind of highlight here is if we were to just do this and we didn’t do the pre-launch where we didn’t optimize our listing, we might be doing this work for nothing, right? So, we need to make sure that we go during the prelaunch and we optimize our listing because with sales, that’s what’s going to fuel the rankings and really kind of start pushing ourselves in there. So, Chris, why don’t you talk about like what do we do now that we’re at this launch phase. We know that we either built our own list or we know where we’re going to give discounts on our product. And a lot of people say, Chris, like, “What should I do? Should I give our product away for free? Should I give a 50% discount?” What’re your thoughts on that? I know what we do but what’s your thoughts on that for someone that would be asking you that question? [00:07:43] Chris: The answer is it depends. No. For me, I wouldn’t discount it any more than break even. So, that percentage is going to vary for people based on their profit margin. It might be 30%, 40% for some people. It might be as high as 50%, 60% for some people. But whatever your breakeven point would be, that would probably be the maximum discount that I would give unless you just for some reason can’t get it to move at that price point then maybe you bump it up and take a little bit of the loss. But with the strategies that you and I have been using like we taught in the prelaunch phase and like we teach in the list building workshop, we haven’t had to give away anything at a loss. And in fact, we’ve actually made a profit on our launches in the new brand which was kind of new to us given the way that you used to do things where you had to give stuff away for free and that was the way that everybody does it. And now you don’t have to do that. We also, Scott, typically plan to discount only like 50 or 100 units. Now that hasn’t always worked out for us. We’ve almost always done more than that because people really like our products and they share them with their friends and the thing that’s both good and bad about that, it’s good because we’re not taking a loss but it’s bad because we’re not making as much as we could otherwise. I’m okay with that. [00:09:01] Scott: Right. Well, I think back in the day when you were allowing 50 to 100 units or whatever you are pretty much giving them away for almost free. So, it was different. Right now, we say we want to plan to discount 50 to 100 units or whatever. Again, let’s kind of go through that math for people really quickly so they can figure out what that number is for them but right now when we do a discount and it might be for two days, we don’t really care if we oversell because, number one, it’s going to help us but also, we’re still making money. Back in the day when you were giving, you wanted to limit it, you wanted to kind of like close off your inventory because you didn’t want to give away more than you allowed. So, let’s talk about that real quick. So, someone right now they’re ready. They want to start getting sales, but they want to start ranking. Give them the formula that they would do to reverse engineer what it may take to rank. [00:10:01] Chris: So, what we typically do, and I think you do the same thing, Scott, is we take a look at the top 5 to 10 sellers and we kind of average out what they’re selling on a daily basis. We then know that we have to sell for a few days at that same level or better to be competitive with those sellers. Does that make sense? [00:10:20] Chris: So, if somebody is selling 20 sales a day and that’s the average for the people on page 1, we have to sell at least 20 a day for a few days and you and I typically plan for five to seven days. So, it’d be competitive and for Amazon to pick us up and to really get that flywheel rolling downhill. And the reason for that is Amazon looks at sales over time. That’s one of the things that they look at. And so, if we can get a consistent number of sales coming in even if they’re all through the discount in sales in the beginning, as we start to rank there, and Amazon sees that we’re continuing to get sales, it kind of cement that rank a little bit for us. If we just have one big spike, it will rank us but if we don’t sustain that whether that’s through increased organic sales through PPC or just through a sustained launch strategy like a rolling launch like you and I kind of do, then we will fall back down to wherever that next safety level is. Does that make sense? So, what you guys need to understand is your first batch of inventory, depending on how much you’re buying, is generally going to be and, Chris, it was funny I had an email come through when we were talking about this before and someone said, “I didn’t understand what Chris meant about breaking even is good.” What we mean by that is even if you buy 500 units and you’re going to sell them, you shouldn’t expect the profit. You should expect the break even and if you do, that’s great because now we’ve given Amazon what they want. We’ve got 500 customers now and now we can start to ramp things up. We’re kind of starting to get ourselves rooted in that system. But I say, you definitely want to plan at least 50 to 100 units to either break even or a loss. And I would say if you really want to ramp things up, then I would say allow even more. Now that doesn’t mean you’re going to be doing 50% off discount. It could be just 20%. It could be 25%. [00:13:27] Scott: You’re still going to make money. You just might not make the $10 profit per unit. And that’s what we eventually want to get to. And I just said eventually because that’s what it is. Eventually, we want to get there. In the beginning, maybe your sourcing is a little bit more expensive because you’re buying a smaller quantity. Maybe your shipping is a little bit more expensive because you’re going by air versus sea, like those things. But in the beginning, you have to understand what we’re doing is we’re feeding Amazon what they want, we’re getting customers and I’ll show you why that’s important here in a minute as why we do want customers to kind of come through our system here in a sense. But in the beginning, you want to allow to give a discount and at least 50 but even if you can do 100 or more, that’s even better because I think it’s that important in the beginning. And just think about it as that’s your promotion like that is the way that you’re getting attention and then you’re also feeding Amazon what they want. Does that make sense, Chris? I know we keep going back with does that make sense, but does that make sense? [00:14:26] Scott: All right. Cool. So, now that we’ve kind of gotten that out of the way, because now what we’re talking about is we need sales. 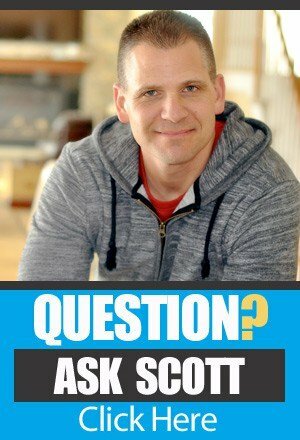 The next question a lot of people say is, “But, Scott, don’t I need to get a bunch of reviews?” Well, here’s the truth on that. It depends. Because if you followed along with what we talk about and what we kind of lived by is finding products that are selling 10 units a day that are 200 reviews or less, most of the time it’s less, then we don’t really have to be that aggressive with getting reviews. If we get sales, if we get people to go through the sale cycle through Amazon, we’ll naturally start to get organic reviews. Now there are some things we can do to kind of help that along but right now understand if we get sales, people will be able to leave reviews like it’s just a natural thing that could happen. Now there’s, again, like I said there are ways that we can kind of make that happen a little bit easier or bring attention to it but right now just understand. To receive your first sales and your reviews is doing exactly what we’re talking about. All right. It’s exactly what we’re saying. Doing a giveaway of some kind or a discount, not even a giveaway, a discount of some kind where you’re giving money off of your product to get the algorithm moving and to get sales coming in the door. That’s what we’re talking about. It’s kind of like that brick-and-mortar. If I don’t get a customer through my door, they can never leave a Yelp review. They just can’t leave it, right? But now if they come in the door and they’re a happy customer or if I’m just talking with them one-on-one and they go, “Oh yeah, I found you because of whatever, Google or whatever.” I’m like, “Oh cool. Did you happen to leave us a review on Yelp or on Google or whatever?” And they may say, “No, I haven’t.” Say, “Oh, if you get a chance, could you do that?” Like I can do that too, right? Well, there are ways we can do that not against the terms of service because, again, there’s a lot of talk on that. We can do it in a way that’s natural without being gray hat or black hat that we talked about before. Chris, you want to talk about anything on that before we move on? [00:16:32] Chris: Yeah. I think a lot of people get caught up on the reviews and they say, “I need reviews to get launched,” and you touched on this. To me, if you need reviews to be relevant, you probably made a mistake somewhere else and it’s usually in product selection. Reviews for our products are a conversion rate optimizer. It’s a way of boosting more sales. Conversion rate, guys, if you’re not familiar with the term. It’s just the number of people who buy versus the number of people who see it. So, we have a conversion rate of 10%. That means 10 people out of every 100 people that land on the listing end up buying. When you get reviews and you start to get what you’ll hear Scott and I refer to as social proof, more people are willing to buy it because they see that their specific question was answered in a review or their specific concern was answered in a review. And that’s what they’re really good for. One, they get to see kind of the overall quality of the product because you light those stars up and they get to see if their specific question, concern was answered. And you wouldn’t necessarily be able to do that in listings. So, it does help you get sales in that way, but it should not be the foundation of your launch strategy. [00:17:45] Scott: Yeah. No, I agree 100% and here’s the thing though, back in the day again, people would say, “Well, shouldn’t I use like this thing called a super URL or shouldn’t I kind of like use a special link so then Amazon thinks that someone searched for the product when they’re buying through my email list or they’re buying through a promotion?” And the answer to that is no. I don’t think that’s necessary. It’s definitely not within terms of service. So, I would stay away from doing that. We have not done that at all in this new brand and has not hurt us. If anything, we’re still ranking, we’re still getting sales, and everything is just working fine. So, I wouldn’t do that myself personally. And again, when you start doing that stuff, the reason why most people are doing that is because they’re going into a competitive market and they want to figure out a way to kind of game the system. And that’s not what we’re doing here. We’re trying to build a real brand that we could potentially exit in the future. And if you have any marks against you, anything that’s kind of gray hat or black hat on that business that can hurt you especially in the future, we don’t want that. We don’t want to play with that inside of this brand. [00:19:00] Chris: So, Scott, I want to stop you there really fast. [00:19:03] Chris: People asked about like the keyword-rich URLs and we talked about relevance for sales and Amazon says, “Okay. If this product sold for garlic press, then it’s relevant for garlic press and it says garlic press in the listing.” The question you and I get all the time is like, “Okay. Well, if I just send them generically to the product page, how does Amazon know what I’m relevant for?” If I don’t give them that super URL, that keyword-rich URL, how do they know? And the answer is you did it in the prelaunch phase. You put all those keywords in your listing. Instead of it being like a cruise missile strike on a specific place though, it’s the whole theory of a rising tide lifts all boats. So, you’re relevant for more terms. You’re not going to get as big of a bump necessarily for one very, very, very specific thing but all of the ways of describing your product, if you just send traffic directly to the listing, get that same boost. Does that make sense? [00:19:57] Chris: So, instead of trying to just rank for one thing by not using a keyword URL, by not doing it the way that you used to be able to do it, you’re actually getting a bigger benefit, in my opinion, because you’re ranking for a lot of things. And in some cases, you end up ranking for some things that you would never have thought of that can turn out to be some of your best searches. [00:20:18] Scott: Yeah. And once we get into the promotion phase here, when we start talking about sponsored product ads and stuff, we can almost do a version of a super URL by using pay-per-click and we’ll talk about that here in a minute. But I just kind of want to reiterate this point here and that is in the launch phase what we’re doing is we’re getting the ball rolling or as Chris said, the flywheel. We’re getting that moving. We got to get that thing moving and once it gets rolling, it’s going to start to build up its own momentum. So, just remember, again I said I was going to pound this point home and I was going to really hammer on it, sales increase keyword ranking. So, without sales, you’re really not going to get ranked unless you are the only one selling that type of product. It’s the only way. But if you are doing that then there’s a pretty good chance there’s no traffic and, great, you’re ranking. Big deal. So, if you are competing against even if it’s only 20 pages, you still have to get sales, but you also have to be optimized for those keywords that you want to rank for. So, understand that sales is a huge part of it but optimization is also a huge part of it. The other thing is, and I know I get a lot of people that say, “Well, Scott, if I get reviews or more reviews than my competition, won’t that help me increase rankings?” And the answer is not really. And here’s what I mean. If you just get reviews and you have more than your competition, that does not rank you. Now, that being said, if someone lands on your listing and they’re looking at your product and someone else’s product, and they look at your reviews and they see that there’s a bunch of like two-star and three-star reviews and people are complaining and then they look at your competition and they’re all really good or maybe there might be like one four-star but they’re all good and everyone’s raving about how much they love it and they end up buying that one then yes, I guess that could be a factor because it converted higher because they were sold by the social proof of the review. [00:22:30] Scott: So, the review itself doesn’t necessarily help your rank but the customer looking at it and then deciding if they want to buy it because of the reviews, that could be a factor. Again, I’ll go back to my pool example. I just bought it’s like a steelhead brush to brush the new plaster. I was reading reviews on two of them and one of them they said that the bristles were breaking after two uses and they would never buy from this, and it was a common thread. It was like a common thing like if it was just one, I’d be like, “Ah, maybe it was just a bad one,” but it was a common thread. I went to the other one that said everyone was pretty much happy. There might have been a couple of people that didn’t talk about the bristles. They talked about the handle or something. I’m like, “Oh, that’s no big deal.” So, I ended up buying that one. So, that one there helped me make a decision. If that’s the case, the review helped but if you’re not competing on the review side of things then that’s not going to help you get sales, so hopefully, that makes sense. So, reviews don’t necessarily help you rank directly but the review helping you convert because someone bought it because of that review, that’s a different story. Okay. So, hopefully, that makes sense. I know it can get confusing but that’s kind of how it works. So, let’s move on here now to like how would you kind of kick it up a notch to get reviews or even feedback on your account. I want to talk about that really quickly because we don’t talk about that all that much. There’s feedback on your seller’s account and then there are reviews on your specific products. Chris, why don’t we talk about that? Feedback, reviews, what’s the difference? [00:24:05] Chris: So, feedback is on your account like you as a seller. Reviews are on specific products. So, feedback they’re basically telling Amazon, “Hey, this product guy, whatever I ordered got here in time. They treated me well.” And if you’re using FBA, technically, Amazon’s responsible for the shipping but Amazon actually still looks at your feedback for a lot of different things. So, asking for it is important. Reviews are product specific. So, people are saying this product was good or this product was bad. Does that make sense? [00:24:38] Scott: Yeah. It does. And I want to kind of just go back to the feedback. A lot of people don’t realize that when you have your seller’s account, you’re being graded in a sense. You have a scorecard with Amazon. So, Amazon will also look at that and again, we don’t know all the formulas and stuff but when you have a higher feedback than your competition, maybe your competition just launched. They’re brand-new. They’re a month old and I’ve been selling now for 12 months. Well, if I had feedback on that account and it’s constantly coming in because honestly, Amazon does solicit that feedback. They want to make sure that the experience was good. And then what will happen is that will build up your account as far as being seasoned as we call it. It’s kind of like having a website that’s brand new or a website that’s a year old. The year-old one, it just has more history. So, because of that, and we don’t have any proof of this. We don’t have any stats on this but I just common-sense-wise say if I have an account that Amazon looks at and they go, “Oh, they’ve kind of proven themselves. They just launched a new product. I’m going to give them a little bit more juice when they’re launching products than the guy that just kind of opened up a store yesterday.” So, this right here when I’m launching new products, I know that as I build out this feedback, I’m letting Amazon know that I’m a trusted seller and I’m also letting customers know that I’m a trusted seller because they can go and look through that feedback. So, it’s really important that you understand that, and a lot of people don’t look at feedback as that important. I think it’s really important because as that account gets older and it gets more feedback, it actually gets a little bit stronger and easier to rank products. And I know Dom Sugar has taught a lot about this because he’s got accounts, some of them that are four years old. And he says he finds it easier to rank products under these more seasoned accounts. [00:26:23] Chris: I would say, Scott, the other thing there even if that was not the case and I’ve seen that anecdotally as well in the brands that we work in and in the new brand. Now part of that might be we have a list that’s ever-growing, and they really like our stuff. You also have that factor. The other reason that you want to try to get feedback is let’s say you launch your first product and it sells four or five units a day and it just kind of trucks along. A couple of weeks later you launch your second product which is exactly what happened to us and actually it was like a couple of days later, right, just because of how it timed out but a couple of weeks later you launched that second product and it starts selling 30 a day. Amazon can actually suspend your account if you don’t have feedback because they expect a certain percentage of feedback on your account and they call this a velocity review. It’s not something I’ve heard a ton about recently, but I have seen a couple of posts in the TAS group about it. And it only really happens when you have a huge spike in sales and you don’t have feedback but if you’re not actively asking for it, it’s more likely to happen. And basically, what Amazon does is it’s to protect sellers and to protect customers. They don’t want somebody to come in, price something at $9. Let’s just say they’re selling a fake iPhone at $9, sell thousands of them, closed their account and take all the money and run. So, if they see something that looks weird to them, they’ll suspend the account until they can do a review. That actually means you lose out on sales during that time. So, if you’re selling, you go from selling like one or two a day to 40 or 50 a day overnight and you don’t have that feedback, it’s actually a red flag to Amazon, and that’s a negative reason to have. So, there’s no reason in my opinion not to ask for it. It can only help you. [00:28:05] Scott: Yeah. So, again, and the reviews that you’re getting are for the listing or for the product. So, feedback is for your entire account. Reviews are for that specific product. So, now a lot of people will say, “Well, how do I get them? You can’t really ask for them anymore and that’s not 100% true. You can’t go about it and say, “I’m going to give you a discount if you’ll give me a review like you cannot do that, period. Can’t do it. So, the way that we’re kind of doing. Again, it goes back to sales like the more sales we get, people can kind of come through our cycle or our system. So, what we do and what you can do, you don’t even need a software to do this. It’s just email your customers. Now, not email your customers right away and saying like, “Hey, I noticed that you bought something. Can you leave me a review?” No, we’re not saying that. We’re saying like, honestly, email your customers and make sure that they are happy. Make sure that everything that they ordered, they’ve received. Make sure that if they have any questions you are there to answer them for them. Or if you have a special resource which I think is a great idea, give them a PDF that you can attach to the email and they’ll allow you to do this inside of Amazon and just give them five ways they can use their new product or five different ideas on what they can use the product, four or five. If you’re selling a garlic press, it could be five amazing meals that use garlic or something. So, you conclude that to give them a better experience and then maybe the second or third you can, again, remind them of the email that you had sent in the past, want to make sure that they got it, and, “Oh, if you could do us a quick favor, can you head over to Amazon and let them know how we’ve done?” That’s it. Like you can do that manually. You can email your customers manually. Now if you want to kick it up a notch then and this is what I do, and this is what we do in the new brand and any other brand that we’re working in is we set up, there’s an auto campaign and it’s a software tool called Salesbacker. [00:30:07] Scott: There are other ones out there. We use Salesbacker. A good friend of mine, Chris Guthrie, who’s also a private label seller has created it for us specifically because, well, he knows what private labelers need. And what this does is it allows you to pre-write the emails and then it will get timed as far as when they get sent out. And then from there, you’re constantly following up with these customers in a natural way. And now if someone emails you back from that email, you can personally email them back. But it’s a way for you to kind of put them through this experience without you having to type every single email, which by the way I’ve done in the beginning. I was typing emails and copy and pasting in a template and modifying it and all that stuff. This will also increase the amount of feedback and reviews that you will get because, again, you’re becoming top of mind. And then you’re also giving them a nice experience and you’re being concerned, and you might even sprinkle in your story a little bit. Let them know that you’re a small business or a family-run business and your customers are so important to you and you want to make sure that everything is right or whatever. So, just be real. But again, going back to sales will drive ranking and they’ll drive more sales but then sales will also drive more people to your follow-up sequence which then could give you more feedback, which seasons your account and then also gives you reviews on certain products. So, Salesbacker, I have an affiliate form. I will throw that link out there to you guys. They have a 60-day free trial that you can send out. I believe that’s over 150 emails. No credit card, definitely go check that out, TheAmazingSeller.com/reviews or you can just go to the show notes page to this episode. I’ll drop the link in there for you as well. But definitely, definitely worth just giving it a try or if you don’t even use a software tool, just email your customers, please. Promise me that you’ll email your customers and just give them a great experience. [00:32:05] Scott: All right. Let’s move on to phase 5. So, that was phase 4 is the launch but phase 5 is product promotion phase and that really ties in with the launch. You’re almost doing these side-by-side and this is where we’re going to talk about Amazon sponsored product ads or also known as pay-per-click. So, basically what we’re going to do now is we’re going to get eyeballs on our product and we’re going to talk a little bit about how we talked about earlier about super URLs or like rich URLs or keyword-loaded URLs, whatever you want to call it where we can kind of like game the system. This is a way to almost do the same thing but legally and it’s a great way to get eyeballs on your product on day one and then from there start to get sales through certain keywords. It also gives you intelligence on the market, what people are searching for, what you might have missed, how to find other keywords so this way here you can maybe optimize your listing further, all of that stuff. So, just to kind of give you a visual and I’m trying to give you a visual in audio. We normally do this in the workshop and when I get into this section I always tell people like, “Listen, I don’t expect you to understand it all right now. I just want you to know that it’s here for you when you need it,” but this is like a really bare-bones version of kind of like what we do when we set up a campaign and kind of how we get that started. And I will give you guys like my quick start strategy, the thing that we use every single time. But just so you understand, when you’re doing a search on Amazon, you type in “stainless steel garlic press”, you’re going to see what we call organic search results. Okay. That’s going to be everything that you see generally on the left side of the page or even down below the first one or two spots. Okay. And you’ll see a little sponsored little notation there that lets you know that there are sponsored ads in certain locations. Now they’re changing this all the time. So, I may tell you now that it could be on the right side. It could be on the top. It could be in the middle. It could be on the bottom. But just understand that they’re going to place it where they have had the best conversions. That’s what they’re doing. They’re testing that stuff all the time. [00:34:11] Scott: But what we want to do eventually is rank organically where we don’t pay for that. But in the meantime, we can rank on page 1 pretty much on day one if we want to. So, just understand that there are organic search results that’s eventually what we want to get to but then being included in the sponsored search allows us to get eyeballs even if we’re not ranking technically. Now, Chris, did I explain that decent or do we want to elaborate a little bit more before we move on to kind of like the quick search strategy? [00:34:41] Chris: No. I think that makes sense. If you run a search for anything, if you guys just go run a search for garlic press, you’ll see some ones that are markedly sponsored. That’s where the ads are. And you have the opportunity through Amazon to run ads in addition to getting that organic placement and it’s absolutely worth doing. We have a huge bunch of material on that, Scott, and I think that is over at TheAmazingSeller.com/PPC. It’s like five-and-a-half hours just on that. Do not get bogged down on that right now. Just know that that’s something you should be doing during the launch. And when you’re ready for it, when you start to run that, go through that content and that will give you a really in-depth overview of exactly how we’re doing. [00:35:23] Scott: Yeah. And I’m going to give you guys like I said like a little quick start strategy that you can actually use and take action on because I want you guys to know that even though you might not be there now, you can come back to this when you get to phase 5 and you can just kind of like set that stuff up and get that started because I don’t want you guys to get stuck in any spot here. I want you to kind of go through it. I want you to understand it. This may be something you have to listen to again or maybe again you want to come attend one of our workshops where we actually show you visually a little bit more detail. Again, I’ll remind you guys of that TheAmazingSeller.com/Workshop and we do those pretty often depending on when you’re listening to this. So, just go ahead to that link, register for an upcoming one. Chris and I will be there. We’ll take you through the five phases and in this phase, it’s really important that you kind of understand that process. The ranking process is really, really simple if you break it down. When someone searches using a keyword and buys your product, Amazon is going to take notice of that. They’re going to start to rank you for that keyword. That’s what we talked about in that launch phase. That’s why it’s important that we understand how to optimize it and we also understand that sales is going to help really push the ranking of your keywords. So, that’s number one. So, understand that. We already went through that but I’m going through that again. Now, the other cool thing is this, when someone clicks on your pay-per-click ad, your sponsored products ad inside of Amazon, while searching a keyword, okay, so let’s say that they search for stainless steel garlic press. They see all the organic search, but they also see an ad on the right-hand side that just happens to be your product. They click on it. They’re in your listing. They end up buying your product. Guess what? Amazon knows that. They know it for a couple of different reasons. Number one, because they bought the product. It’s triggered in their system that you just made a sale. The other cool thing is inside of your pay-per-click campaign, they also know that you are advertising for stainless steel garlic press and that converted to a sale. [00:37:20] Scott: So, that’s almost like you putting in what we used to call a super URL or a rich URL, whatever you want to call it. It’s the same idea because we have a keyword that we know people clicked on, they searched for. They landed on your listing. They converted to a sale, Amazon knows that. So, you’re able to really kind of let Amazon know even more than just you being optimized by running a pay-per-click. And that’s why we are really, really big believers in using pay-per-click and I know our good friend, Dom Sugar, is like his launch process is to really get aggressive with pay-per-click. I’m going to share with you like I said a quick start strategy here in a second. Again, you guys will probably want to go to the show notes to this page or just attend one of our workshops. I wanted to give you an example. I always share this on the workshop. You can’t see it but I’m reading it from a slide that I use usually during the workshop. But the power of pay-per-click and this is just one example, and this was on a fresh brand product, in one month I spent $1,200 in pay-per-click and to some people that’s a lot of money. Currently, right now we’re doing about $3,000 in a new brand. But the results from this $1,200 spend was 105 sales from pay-per-click. Not bad but not great. But we also got 1,525 sales from search meaning organic search that I did not pay for. 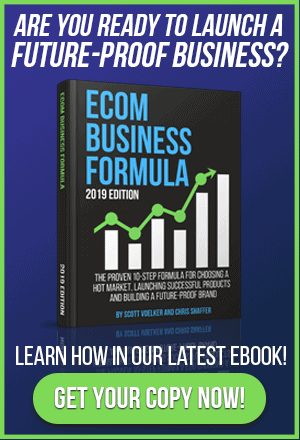 Now I can’t trace it all back to how many sales came from the 105 sales that help me rank but I would imagine because I generated sales from some of those keywords, those 105 sales that help me rank organically to help me get some of those 1,525 sales. So, understand that while you’re doing pay-per-click even though you might break even on that campaign or maybe even take a slight loss if you’re able to get sales organically because you drove sales through certain keywords and it helped you rank, that offsets that you took a loss or that you broke even. Now, Chris, I’m going to ask you, does that make sense? [00:39:24] Chris: It does. It makes perfect sense. [00:39:28] Scott: Okay. Because sometimes we kind of get tangled here in the weeds a little bit and I don’t want this to get over people’s heads. Sometimes you have to go back and listen to this again, but I just want to make sure that’s really, really clear that we’re using pay-per-click to help us get eyeballs, to help us get sales and then from those sales we can potentially rank organically which then can turn into more sales. All right. So, let’s move on to the quick start strategy and then what we’ll do is we will wrap this up and this will complete the series. So, really excited. Because at this point, guys, you have a launch going on. Right now, you either contacted your list or you’ve contacted the list that you’re going to be using, the influencer or whatever and you’re starting to get those sales. While that’s happening or just after that happens, you want to keep those sales coming in. All right. You want to keep those sales steady and that could be 10 a day, 15 a day, whatever it is. So, here’s the quick start strategy for your Amazon pay-per-click or your sponsored product ads. Number one is we want to find the top 10 to 20 keywords. Now we talked about this in the pre-launch, we talked about like where should we find these and, again, if you didn’t listen to that, go back and listen to that but it’s pretty straightforward. We want to find 10 to 20 keywords. Now those keywords could be single words, three words, four words but they need to be keywords that you think that people are searching for that would lead them to your product or that would buy your product. We create a manual campaign. Now there are two different campaigns. There’s manual and there’s an auto campaign. We’re going to create a manual one in the beginning. Now the manual means that I’m going to enter the keywords. I’m not going to let Amazon decide, which again you can do that. You can do an auto campaign which we do those occasionally but right now we’re going to start with a manual campaign. Number two, we’re going to set a daily ad budget to $25 per day. That means that I will not spend more than $25 on any given day. So, $25. [00:41:26] Scott: Now the other thing I’m going to do is I’m going to set my cost per click. Now what this means is I’m willing to spend up to $1 per click. If someone sees my item and clicks on my item, I’m willing to spend up to $1. The reason why I say up to $1, it’s a bidding system. So, if my competition is spending $0.60 or willing to spend up to $0.60, they’ll just increase mine to maybe $0.65 or $0.70, whatever that next increment is. So, what this will do is this will get me exposure. Now you may need to play around with that. You may say, “Well, you need to go up to $2 per click or $3 per click. It just depends. The cool thing is, is if you set your daily ad budget or, another little side note, if you set your overall budget on your account to only spending $100 per day or something like that, you’ll never go over that in any given day. But the daily ad budget we set to $25 today to start and the cost per click, the CPC it’s also known as, is a dollar. Then what we do is we let it sit and we let that run for 7 to 14 days. This is step three and this is quick start strategy. So, we run it for 7 to 14 days then we download this awesome thing that Amazon gives us and it’s the search term report. And this can be found inside of your promotions area, inside of your reporting, and it will basically say “search term report” and you’ll click on that and download that report. Sometimes it takes two minutes. Sometimes it takes five minutes. But then what will happen is it will give you data, really, really cool data. And this is step four. What you’re going to do here is you’re going to look at the data that they give you and that data will consist of keywords that you have targeted. So, let’s just say that you targeted garlic press. We’re setting that up as a broad term meaning it will be something that could be close to it. It could be something exactly of it or it could be something that is just relevant to that. [00:43:30] Scott: The cool thing with this is it’s going to also show us what people actually keyed in, what they actually typed in that led to that search. So, if it’s garlic press but they searched for long handle stainless steel garlic press, it’s going to show me that that was one of the search terms. So, I hope you’re getting excited about this because right there, that tells me I should probably include that inside of maybe my listing somewhere. Because that’s something that’s being searched for. Now I’m not saying just one search. Maybe you’re seeing that you’re getting a whole bunch of impressions. Now an impression means that that’s how many times that your ad has been displayed for that keyword. So, if you’re seeing a keyword of garlic press and there are 10,000 impressions, that means it’s been seen that many times. It doesn’t mean that you paid anything until someone clicks on it. So, you’re not going to pay that dollar or up to a dollar until someone actually clicks. So, that’s the cool thing. We can get inside on our market by just looking at impressions. Like holy crap, black long-handled garlic press gets a ton of impressions but for some reason minus the converting. Why? Maybe because I don’t have a black long-handled garlic press. So, what would I do? I would take that out of there and I wouldn’t want to maybe run ads for that, so I would put in a negative keyword which I don’t want to get into that stuff or I could say, “You know what, maybe I should add a version of mine in a black-handled garlic press?” So, it’s again another way for you to get more information about your market but then also let you see what people are searching for and then from there it could also start leading to sales. So, what I’ll do is I’ll look at the data and then we’ll optimize the listing further and again little tip here, this also helps you rank. We can’t prove this. I know my good friend, Dom, talks about this a lot. He feels as if you spend money on pay-per-click pretty consistently, he feels that they also give you a little bit of a bump in organic ranking. [00:45:29] Scott: For whatever reason, he thinks that he says that he can prove it, but I don’t 100% know if that’s true. I think it’s hard to prove anything with Amazon. Chris, what’s your thoughts on that before we move on to step five? [00:45:40] Chris: My kind of gut feel on that is it’s causation versus correlation there. I don’t think it’s that you’re spending money. I think is that you’re getting sales and relevance. But they go hand-in-hand. So, if you’re spending money on PPC and you’re getting sales then you’re getting relevance which means you’re ranking and it’s really easy with PPC to get five or six or seven sales on one specific search term which is going to rank you very well for that if other people aren’t. The way that Amazon looks at those search terms is like everything is in a vacuum essentially. So, if you type in black stainless-steel garlic press, the search results might actually be different than if you just typed in stainless steel garlic press. Even if you typed in stainless steel garlic press black, they might be slightly different because Amazon knows that you’re going to sell better on one than the other based on all of the data that they have. Something that you touched on here, Scott, that I think everybody always asks us like, “What are the super-duper ninja tricks that you guys use to launch your products and sustain your products?” And there are none but if there were one, it would be the search term report. This is something that a lot of people don’t ever take a look at and it’s definitely something that can inform your decision. Amazon doesn’t give us a lot of data into where our sales come from and where our impressions come from. I’m hoping that at some point they will so that we can help them help us sell more but right now, the search term report is where you get all of that information. So, you know what search terms drove the most sales, you know what search terms drive the most impressions, and you can change your listing like we talked about in the prelaunch phase. We’re taking our best guess, but the search terms report actually gives us the data to either say, “Man, we guessed right or, whoa, we guessed way wrong. We need to change the title, we need to change the bullets to incorporate some of these things.” Does that make sense, Scott? Like the search terms report and I don’t want to oversell it, but I also don’t want to undersell it. [00:47:41] Scott: No, no, I agree. [00:47:41] Chris: A lot of people don’t look at that. They just look at the PPC reports in the Amazon dashboard and that doesn’t actually tell you what people are searching for. You need to know what people are searching for or what’s actually driving that click and what’s actually driving that sale and that doesn’t just affect PPC. That kind of affect how you write your listing. [00:48:00] Scott: Yeah. And I just want people to know too that you’re starting this out with a broad search term which is kind of their default anyway, so you don’t have to really worry about like pre-selecting something or selecting something outside of what they’re starting you with. When you go and set up a campaign, generally it defaults to broad. And they have broad, they have phrase match and then they have exact match. At this point, we want broad because we want that to kind of use it as our seed and then from there, we can see what other keywords that Amazon is suggesting. The other way to do that also and we’ve done this too and I actually have a couple running right now is that we also do an auto campaign where an auto campaign is super simple. You just set it up and just say, “Amazon, I’m willing to spend $20 a day. Go tell me or go put my product in front of people you think are my buyers,” and that’s going to come down to how well your listing is optimized and all that stuff too. And then from there, you can start to get that data back. The reason why we kind of skip that in the beginning is because we want to go after those 10 or 20 keywords in a manual way because we know that those are the ones that we want to be relevant for and we also want to get related stuff around those. But either one will work. Just auto will cost you a little bit more money to kind of get the data to get you to the 10 or 20 keywords in our experience. So, kind of moving on here, Chris, in step four, we’re looking at the data and optimizing our listing further and also getting maybe even more product type ideas like all of that stuff. We’re getting a lot of information which is awesome. In step five, the final step here is to spend more on the winners and cut the losers. So, you may have a campaign that you have five keywords in and you see that three of those campaigns are doing well and two of them are bringing your campaign down. So, what you want to do then is just take those either reduce the bid on those or just cut them completely. We’ve actually taken it where we’ll just take those and we’ll reduce the bid like way down. Like if we’re normally spending a dollar, we may say, “You know what, we don’t want to get rid of them completely but let’s just kind of go and spend $0.20,” and let’s see if that changes things. [00:50:03] Scott: And then that’ll take that campaign and generally, it’ll show more of the three keywords that are doing really well and it will show less of the others. It also allows us to show up for those other keywords when maybe our competition ran out of budget or something like that. So, it’s another thing to do there but spend more on the winners and cut the losers and it is a process. You’re not going to find the winners right out of the gate. You’re going to have to go through this process. Now, if this does sound confusing and a little bit overwhelming, I get it. It can be and there are two things I want to mention here. One is we did a full like you said, Chris, like a full training on this. We did some Facebook Lives and that can be found at TheAmazingSeller.com/PPC. Again, we’ll throw that in the show notes to this episode. The other thing is there’s a program that actually Chris was kind of working behind the scenes with Jeff Cohen and their team before it was even launched, and it was a program called Ignite. And Ignite, they have a 30-day trial. You can kind of get a lot of data before you even have to pay for it but Ignite will allow you to set this stuff up and then let them almost manage it for you in a sense to where they will start giving you suggestions of what to pause, what to lower bids on and those types of things. So, this way here you don’t even have to look so much at the search term report. Because sometimes it’s scary for people or it’s just overwhelming and they’re like, “I just don’t want to dig into that.” That would be a tool like Ignite that would help you with that and I would definitely recommend that or just checking out that 30-day free trial. We are affiliated with them. Just again little side note there but we are huge fans of Seller Labs and Jeff Cohen and the team and they have great products and they’re great people over there at Seller Labs. So, definitely go check that out, if you’re at this phase. If you’re not at this phase, don’t worry about it right now. Don’t. Like, don’t get overwhelmed with that. You don’t need it yet. [00:51:55] Scott: So, with that all being said, a lot we went over there, Chris and, man, I always say, “Chris, we’re going to be able to do this one in probably about 30, 35 minutes.” We’re approaching again about 45 to 50 minutes. So, let’s wrap this up. Again, the quick start strategy there is to just kind of go through, get yourself set up, start collecting some of that data. That’s what it’s about. So, to recap in the phase 4 and phase 5, the phase 4 is the launch phase. That’s where we’re going to start getting sales. We’re going to start leading people through maybe our auto sequence for contacting them and giving them a great experience to where they possibly could leave us feedback and reviews. And we’re going to start ranking for keywords because we’ve already done the prelaunch phase. We’re going to optimize our listing in our products for search. That’s what we’re doing. And in phase 5 is the product promotion phase and this is where we are going to be getting more sales and also getting a lot of data through running sponsored product ads. And then from there, tweaking and refining, spending more time on the winners and cutting the losers, that’s really what we’re going to be doing there. So, these are the five phases that we just covered in this series and, again, I wanted to go through this because I wanted to give as much detail as I could. I wanted to give you guys that roadmap to really private labeling and selling product on Amazon. In this case, we’re talking about Amazon. In another series, probably in the near future, we will go into outside of Amazon. We do that a little bit with the list building stuff, but the list building stuff is really also for the pre-launch phase so definitely check that out at TheAmazingSeller.com/buildlist. I know I’m throwing a lot of links at you, guys, but this will all be included in this episode in the show notes as far as where you can find all those resources. The show notes can be found at TheAmazingSeller.com/444. And this is part 5 of our five-part series for the roadmap to successfully launch products on Amazon and get them ranked and start getting sales. So, Chris, is there anything you wanted to wrap up with or close with before we officially sign off on this five-part series? [00:54:04] Chris: I think, and I brought this up in the first part, I brought it up in the second part, I think I brought it up in the third part, and I don’t think I brought it up in the last part but focus on where you are. One of the reasons we did this roadmap, Scott, is so that people would have a place to come back to for each phase that they’re in. Because people asked us all the time, “Well, has this changed? What’s updated? What’s here? What do I need to do where I am now?” And even just in the launch and promotions portion, the information can get overwhelming. And so, what my suggestion to you would be to utilize what you guys have heard us throw around “just-in-time-learning” focus on where you are. If you’re in the launch and promotion space, come listen to this episode. Go listen to the pay-per-click stuff. If you’re in product selection, don’t go listen to the pay-per-click stuff right now. It’s just going to confuse and overwhelm you. Go listen to the first few parts of the series. It’s part two I think is where we talk about product selection in the series. And so, focus on where you are and that’s really going to help you niche down and keep things relevant and it stops that overwhelm from happening. [00:55:16] Scott: Yeah. I think that’s spot on because people listening or people just coming in, they want to do it all now or they want to know it all now or they want to understand it all now. And I get it. That’s kind of why we wanted to do this. Like for you going through this and maybe you haven’t even gotten to product selection yet, it’s okay, but understand you’re not here yet and that’s okay. Focus on where you are. Carve out a little bit of time every single day and I think this is a good time to mention like time, like how do I find time to work on this business or how much time would it take to run a business like this? And honestly, you could probably do it in an hour to an hour-and-a-half a day once everything is up and running. Right now, if you’re strapped for time, first off, I would ask you like what are you doing right now that you know that you probably could get some time back whether that’s surfing on Facebook or maybe that is looking at YouTube videos or maybe that is just looking at your emails when you know that you’ve already looked at them five times today and there’s one new message or something. Like, figure out where you can carve out an hour and then just dedicate yourself to this. And depending on where you are, just focus on that area. When you sit down, if you’re in product research, focus on product research. Nothing else. Like that’s it. So, and I always call that kind of like my seven-hour weekly strategy. It’s like figure out one hour a day every day of the week and there you go. You got seven hours. And in a month, that’s 28 hours that you could have to work on this business. And then again, like once you get up and running, it’s going to probably only take you an hour to two hours a day depending on what you’re doing. If you’re doing more product research that could be longer and it’s fun. So, I don’t even look at that as like spending my time doing something I don’t like. It’s fun to do that stuff. So, just understand that you have to stick to the roadmap. You have to only deal with the things that you need to deal with at the current time. Do not get overwhelmed. And one thing I want to stress here before we wrap this up, do not get distracted with the shiny objects that are being flashed out there in front of you. [00:57:17] Scott: If you’re hearing something that sounds too good to be true, it probably is. All right. If you’re hearing something that says, “Let me show you the secrets to getting your product ranked in 24 hours,” I would stay away from that probably. Because there’s no thing out there other than if you have a list and you can drive sales and you’re optimized, there’s nothing really else out there that’s going to do it legally so this way here you can rank. What we just talked about, what we just went through, to us, is the way that Amazon wants us to go about doing business. They also want what they want and we’re giving them what they want. That’s it in a nutshell. They want good products. They want good customer experience. They want relevancy and they want you to stick by the rules and that’s what we’re doing. So, that’s pretty much going to wrap it up for this episode and this five-part series. I know that you guys probably have questions and if you do, that’s fine. You could always send them at questions@theamazingseller.com or you can show up at one of our live workshops which you can register for at TheAmazingSeller.com/Workshop. And those are always fun and that this is a way for you guys to connect with us and also go through this little bit more visual, and also, we’ll give more examples and it’s also condensed into a 90-minute window. We have a lot of people that show up to those more than once just because they like to keep going through it and kind of really just getting the stuff ingrained in them, so they can follow along and get through each and every phase. So, that’s pretty much going to wrap it up. Again, the show notes can be found at TheAmazingSeller.com/444. I want to thank you, guys, for hanging with us through this entire series. If you are just starting then definitely go through the entire series and I would even probably say go and attend one of our workshops because, again, just want to kind of go through it over and over again until you start to really get the hang of this thing. Chris, that is going to wrap it up, my friend. Are you ready to wrap this up? [00:59:15] Chris: Let’s do it. [00:59:16] Scott: All right. Guys, remember as always, I’m here for you. I believe in you and I am rooting for you, but you have to, you have to, come on, say it with me, say it loud, say it proud, say it with some energy because we just got through this five-part series together. Let’s do this, Chris. Are you ready? [00:59:33] Scott: On the count of three. One, two, three. Take action. [00:59:39] Scott: Have an awesome, amazing day, guys. And I’ll see you right back here on the next episode.